The Mouse Connection: NEW DISNEY WORLD DISCOUNTS ANNOUNCED! NEW DISNEY WORLD DISCOUNTS ANNOUNCED! Disney has just announced some nice room discounts to get you through the spring! 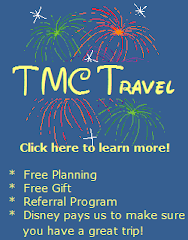 Let TMC Travel - The Mouse Connection help you book your next magical vacation. Just follow the link or click on the banner ad above for more information. Remember, in addition to lots of great advice and helpful tip cards, TMC Travel offers a free gift with every 4 or more night stay! 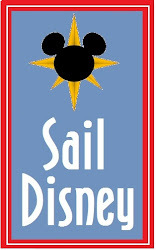 Save up to 35% off the non-discounted price when booking a room at Walt Disney World for stays most nights 2/6/11 - 4/16/11. Discounted rate is available most nights 2/6/11 - 4/16/11. All discounts are subject to availability, certain restrictions apply; including a minimum length of stay requirement for Friday or Saturday arrivals. The room inventory for this offer is limited. This offer excludes suites and 3-bedroom villas. Save up to 30% off the non-discounted price when booking a room at Walt Disney World for stays most nights 2/17/11 - 4/16/11. Discounted rate is available most nights 2/17/11 - 4/16/11. All discounts are subject to availability, certain restrictions apply; including a minimum length of stay requirement for Friday or Saturday arrivals. The room inventory for this offer is limited. This offer excludes suites and 3-bedroom villas. Valid for most nights 10/1/10 - 10/1/11 for Guests presenting a valid military ID when checking in at select Walt Disney World resorts. Discounted rate is available most nights excluding 11/24-11/26/10, 12/26-12/31/10, and 4/17-4/20 All discounts are subject to availability, certain restrictions apply. The room inventory for this offer may be limited. Don't Forget...there are still a few weeks remaining on the super popular Free Dining Offer! Book a Walt Disney World vacation package that includes a 4-night/5-day stay at a Walt Disney World resort and a 5-day Magic Your Way base ticket, and receive the dining plan for free. Book a Disney Value Resort and get the Quick Service Dining free! Book a Disney Moderate, Deluxe or Deluxe Villas Resort and get the Regular Dining free! Free dining available most nights 11/27 – 12/2/10, 12/10 – 12/21/10, 1/1 – 1/5/11, 1/9 – 1/13/11, 1/21 – 2/3/11, 2/11 – 2/17/11, 2/25 – 3/3/11, 5/27 – 6/2/11, 8/19 – 9/29/11. All discounts are subject to availability, certain restrictions apply. The room inventory for this offer is limited. Characters: Let the Hunt Begin!